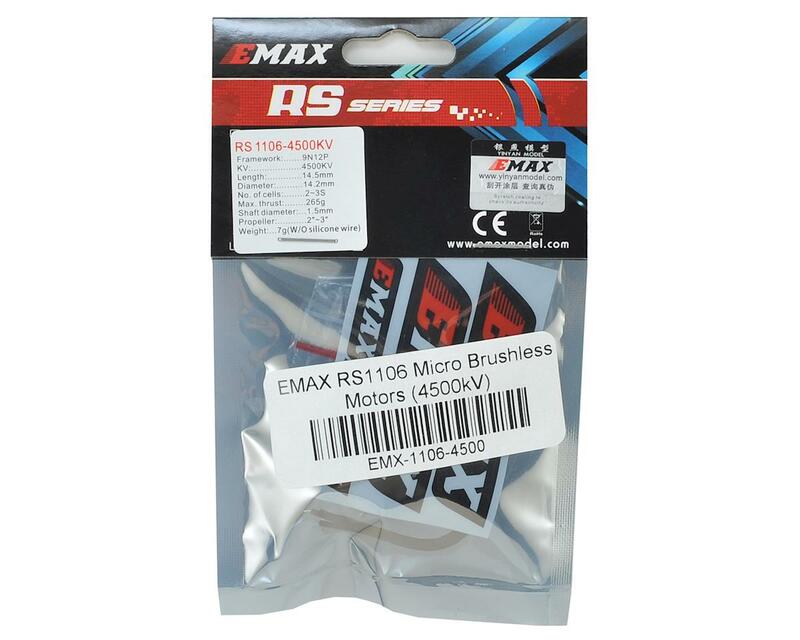 Emax RS1106 Brushless Motors have been designed to provide an incredible amount of performance in the 2" propeller drone class. Offering 3 different choices in kV which are uniquely optimized for 2s-3s batteries, the RS1106 motors will boost your performance like none other! The RS1106 has 6mm tall stator to provide the instantaneous torque that is usually lacking in high KV 1104 motors. 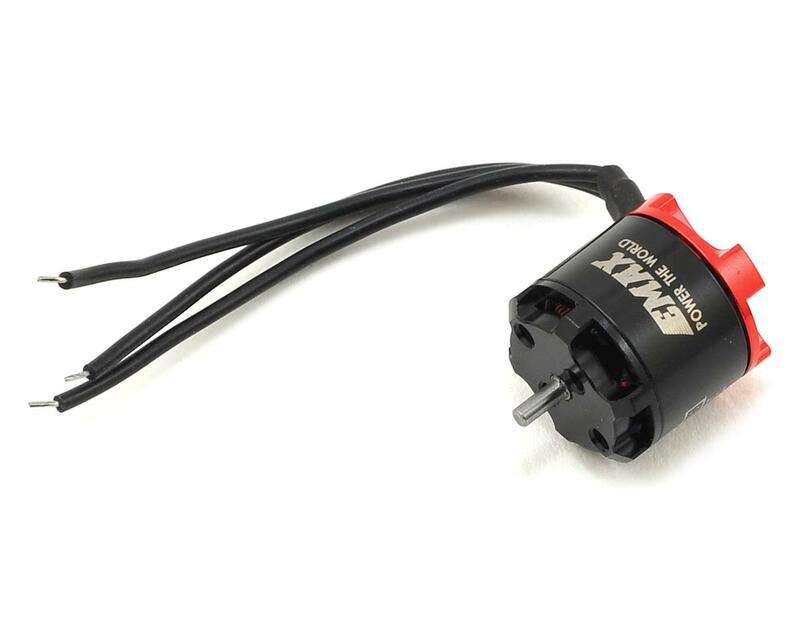 The RS1106 is also one of the only micro brushless motors with active cooling fins integrated into the bell to keep magnets cooler so the power is consistent lap after lap.For micro builds it’s important to have as little mechanical vibration to get the best performance from your flight controller. 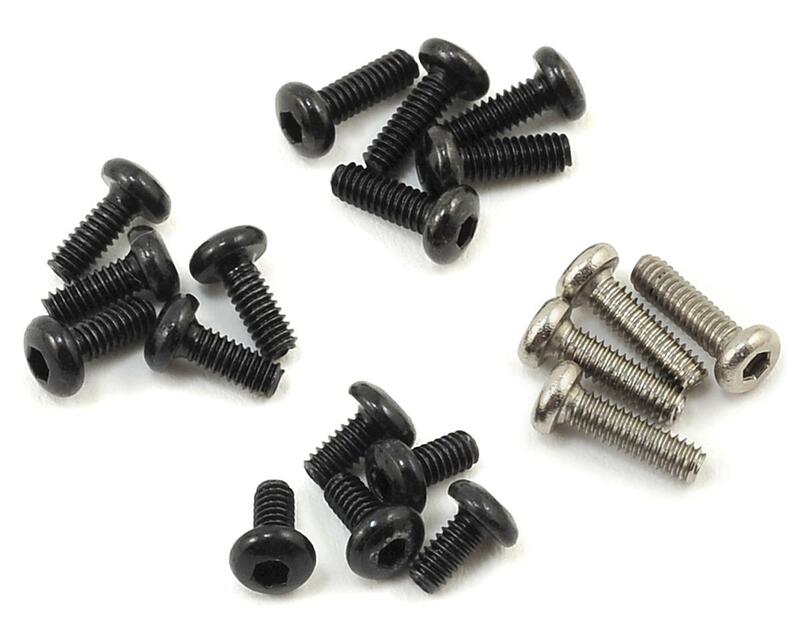 To ensure smoothness each motor is precision CNC, uses premium ball bearings and comes factory balanced.